When Beauty’s father hears that his long-lost ship packed with pearls has landed safely in harbour, his family’s dreams come true. Setting out on a long, arduous journey to claim his fortune and secure their prosperity, he stumbles across a world of great riches, beguiling magic and a fearsome beast. But when he picks a rose as a present for his favourite daughter, little does he realise what he’s unleashed. 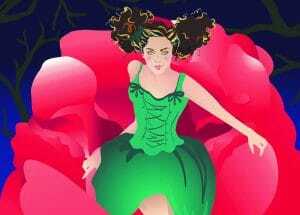 This timeless tale of the true nature of beauty and the transformational power of love is brought to glorious life in Laurence Boswell’s thrilling and inventive adaptation filled with music, dance and song. A true feast for the imagination this Christmas.